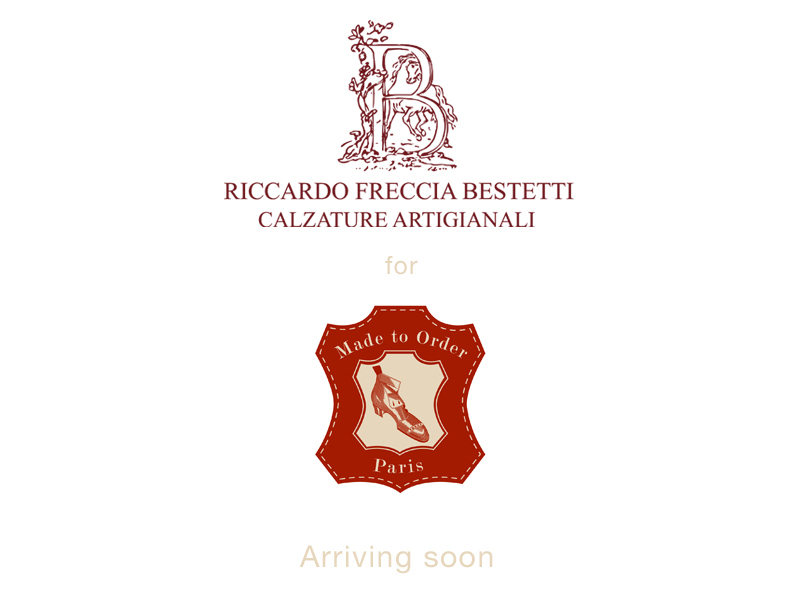 Riccardo Freccia Bestetti coming soon to Made to Order Paris! 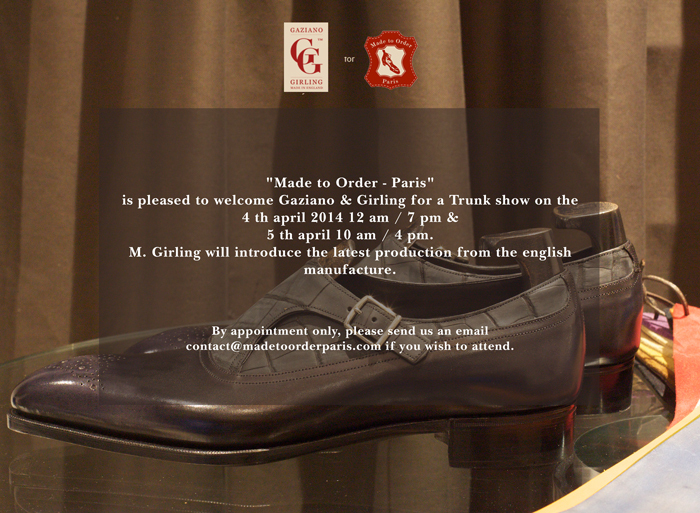 “Made to Order – Paris” is pleased to welcome Gaziano & Girling for a Trunk show on the 4 th april 2014 12 am / 7 pm & 5 th april 10 am / 4 pm. 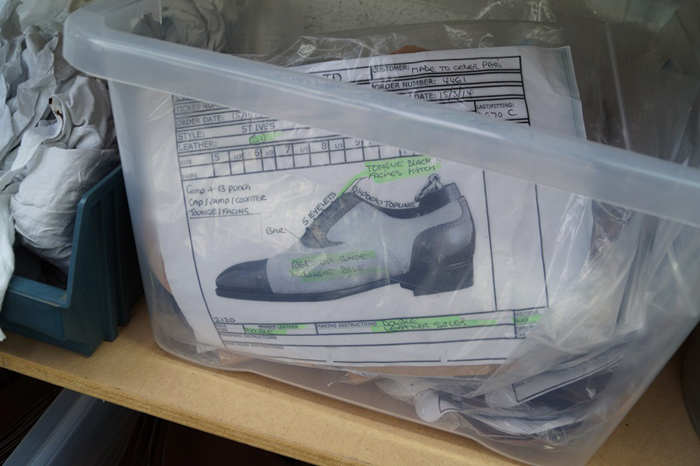 M. Girling will introduce the latest production from the english manufacture. By appointment only, please send us an email contact@madetoorderparis.com if you wish to attend. 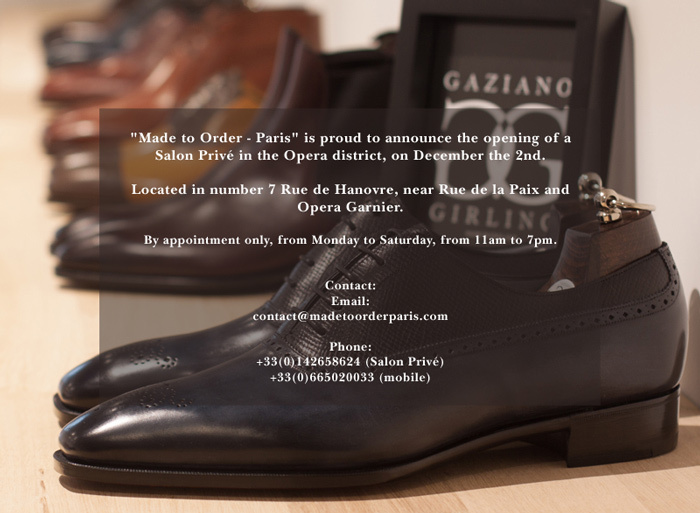 “Made to Order – Paris” is proud to announce the opening of a Salon Privé in the Opera district, on December the 2 nd. Located in number 7 Rue de Hanovre, near Rue de la Paix and Opera Garnier. 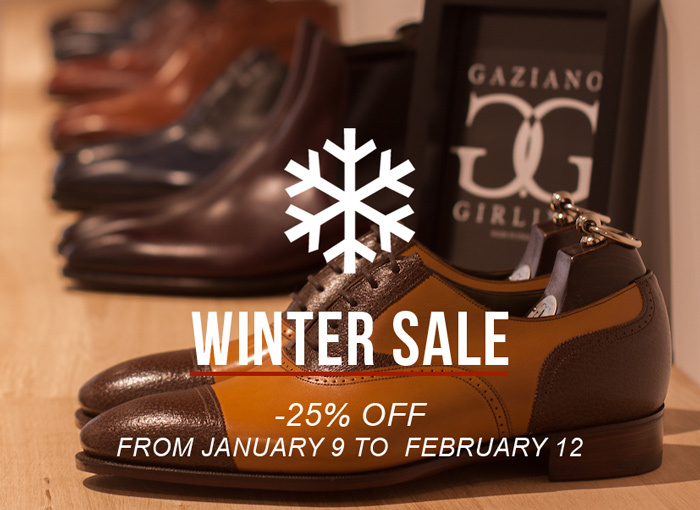 By appointment only, from Monday to Saturday, from 11am to 7pm. Shooting of the models made at “Cordonnerie Blomet” in Paris 15th disctrict. 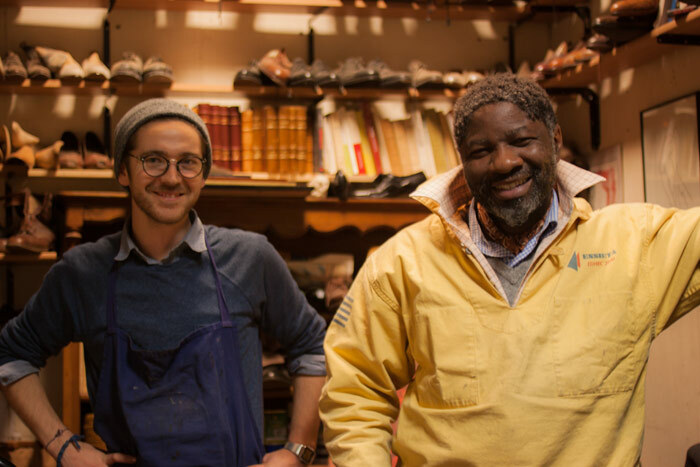 The “Cordonnerie Blomet” is a truly unique shoe-repair shop, where customers and regulars like to chat about philosophy or… shoes in an unformal and warm atmosphere. Huge thanks to Monsieur Oum Sack and his trainee Silvere, for welcoming us. 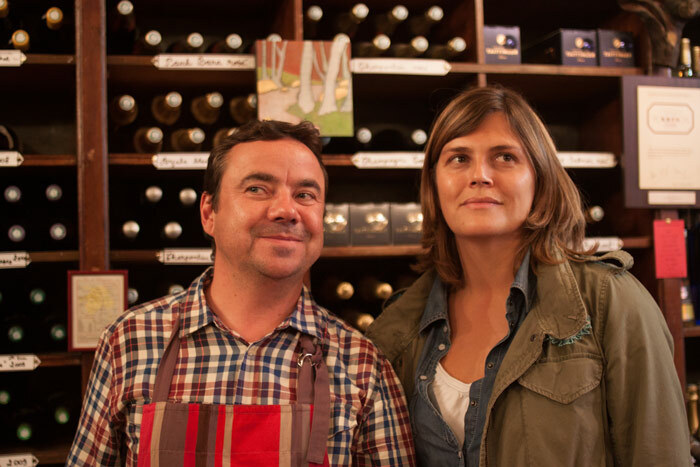 I would like to thank Ms and M. Merlet, the owners of the wine shop “Cave des Gobelins” located 56 Avenue des Gobelins in Paris, for hosting the shooting of Saint Crispins MTOs. The “Cave des Gobelins” is a family business since 1967 and we had the privilege to see (not to drink!) wonderful bottles from the last century. One of these exceptional wines, a “Petrus 1976″, has been chosen to do some modelling after a few decades of slumber in a secret part of the cellar. Warm thanks to the photograph M. David Germain, who not only organised this meeting but also shot all the pictures.